wow. look at that. its been a year since my last post. i don't feel the need to justify myself, but maybe i owe you an explanation anyway. i just got super busy... one of my last posts ends with "things are about to get different", and things got different. -i went back to work full time! needless to say, the time i had to spend sitting in front of my computer trying to impress 15 followers just really dwindled. BUT i didn't just get busy, i got lazy as well. at some point i gave myself an ultimatum that i wouldn't make any new posts until i updated my template. since i had built this blog way back in the pre-google owned blogger era, a bunch of boring stuff that i don't understand had become outdated. this was SUPPOSED to be an incentive for me to get it done, because i had all this stuff i wanted to post on the blog. it only took me a year, but i finally updated my template, so i can start posting again. i probably still have some kinks to work out, but this seems to be looking pretty similar to the old one. good enough for me for now. since it is now early may, i guess that means i've been back at LAIKA for just over a year, designing and building armatures for the next feature. 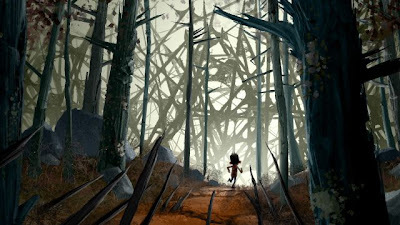 "the next feature" ...that's really all i have been able to say up until this week, when the studio finally announced that ParaNorman would be its next film. i have to admit that it has been really hard to not talk about it, partly because people were always asking me what i was working on lately, but mostly because i'm SO EXCITED about the film. its really going to be awesome. so that's the big news for today. i will be back soon with some more interesting stuff to talk about. hopefully some images from the freelance days, and also some things that may surprise you. Great to hear you're at work on ParaNorman! Congratulations! This films setting the bar on all levels.